Remember Fatherâ€™s Day on June 17! Would you like to know about our Panama Canal cruise? Second estimated tax payment is due June 15. Estimated California fee payment due for LLCs. Offshore account report is due June 30. Supreme Court decides against IRS on statute of limitations question when basis is understated. New regulations allow deduction for some local lodging. Beware of identity theft for your tax return. Financial Insider Weekly is broadcast in San Mateo County. IRS Offers in Compromise relax somewhat. Mortgage interest deduction for married filing separate is reduced. Ex-spouseâ€™s disability pay received in divorce was taxable. Charitable contribution disallowed because of wrong documentation. 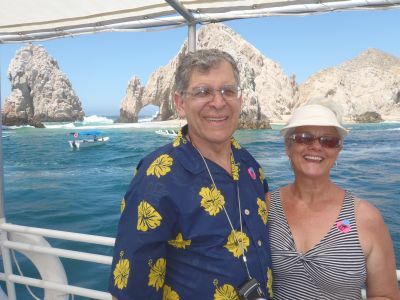 Here are Janet and I at Cabo San Lucas during our Panama Canal cruise. Memorial Day has passed, and with it the unofficial beginning of summer. This is the time of year for graduations and the end of the spring term at most schools. Congratulations to all graduates! Best wishes for good luck and success in your future endeavors! Let your father and other influential fathers know how much you appreciate their contributions to your life. If you would like to receive a paper copy of the article, call Dawn Siemer at 408-918-3162 and sheâ€™ll mail it to you. Michele has a lot of an experience as an administrative assistant and with customer service. 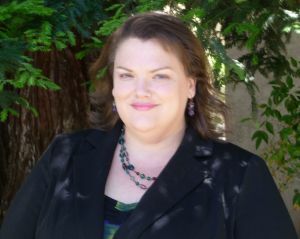 She also has a Certificate in Web Design from the University of California, Santa Cruz Extension. That was important to us for handling Dawnâ€™s internet duties. Michele was born in Texas, but grew up in Southern California. She lived in Washington state for about 10 years, and moved to the San Francisco Bay Area about three years ago. She has traveled a lot. Michele tagged along with her father, who was a truck driver, to most of the 50 states. She also has visited China, Japan, Israel, Italy and Mexico. Michele enjoys volunteering by serving food to the homeless and helps with multimedia presentations at her church. She also likes hiking and going to movies with her friends. Remember the second 2012 estimated tax payment for most individuals, calendar year corporations, trusts, and estates is due June 15. California â€œfront loadsâ€� 40% of the estimated tax in June for individuals and skips September. If your estimated tax is not based on last yearâ€™s tax, you should be reviewing the amount to pay with your tax advisor for an â€œannualizedâ€� payment based on this yearâ€™s information. Remember that individuals who have more than $1 million of income for 2012 arenâ€™t eligible to base their estimated tax on last year. Also remember that many individuals must make their California estimated tax payments using Web Pay. You can access Web Pay at www.ftb.ca.gov. We recommend that you avoid using your credit card with this service, but have your bank account electronically charged instead. There is a substantial fee for credit card payments. Remember the estimated 2012 fee for calendar year LLCs doing business in California is due on June 15. The fee only applies to LLCs that have more than $250,000 of income. The payment is made using Form 3536 or online using Web Pay. California LLCs have two items to pay to the Franchise Tax Board: 1) an $800 annual tax (usually due April 15 of the applicable year) and 2) a sliding scale annual â€œfeeâ€� that applies when income exceeds $250,000 (usually due June 15 of the applicable year). See your tax advisor for assistance with this matter. An annual report is required for offshore bank and brokerage accounts with combined balances at any time during the previous year exceeding $10,000 on June 30. The report is made to the Department of the Treasury using form TD F 90-22.1. You can get the form at the IRS web site, www.irs.gov. It is a separate report, not included with your federal income tax return. You may even be required to file a report even if you donâ€™t own an account, such as if you have signature authority as a corporate officer, executor or trustee. The penalties for not filing are severe, so if you have a question about whether you are required to report, consult with a tax advisor. The â€œsecretâ€� Swiss bank account is a relic of the past. The Supreme Court upheld the Fourth Circuit Court of Appeals in finding that a taxpayer did not under-report its income by more than 25% when it reported the gross receipts from a sale but over-reported the tax basis of the sold assets. As a result, only a three-year statute of limitations applied to a proposed deficiency, and it was assessed too late for collection by the IRS. The ruling should overturn contrary regulations subsequently enacted by the IRS. The Court said it based its ruling on a similar conclusion back in 1958 by the Supreme Court in Colony, Inc. v. Commissioner (58-2 USTC Â¶ 9593, 357 U.S. 28.). The ruling related to a provision in the 1939 Internal Revenue Code that the Court said was identical. This is a very important decision for taxpayers who reported the total sales proceeds for transactions but overstated the basis of the sold assets, resulting in understatements of the taxable gain from the transactions. Normally, lodging provided by an employer that is close enough that sleep or rest isnâ€™t required for travel to the location isnâ€™t tax deductible or a reimbursement by the employer is taxable compensation. The IRS has released proposed regulations, which can be relied on for current tax returns and those for which the statute of limitations hasnâ€™t expired, permitting an employer to deduct the cost of local lodging in some cases and permitting the employee to exclude the cost or reimbursement from compensation. The employer requires the employee to stay at a local business conference or training activity overnight. The lodging may not exceed five calendar days and may not recur more than once a calendar quarter. A professional sports team requires its players to stay at a local hotel the night before a home game to ensure the physical preparedness of the players. An employee who normally has a two-hour commute is required to work overtime, so the employer provides lodging near the office. Employees who are required to be â€œon callâ€� outside normal business hours to respond to emergencies, so the employer provides for lodging at a local hotel for the employee to be available. Consider whether to file amended income tax returns if these expenses werenâ€™t deducted previously. More and more cases are being reported of tax refunds being delayed because someone else previously filed an income tax return with a taxpayerâ€™s social security number. Be very careful with your birth date and social security number. Also remember, the IRS doesnâ€™t send notices by email or on social media sites. Report suspected identity theft to the IRS at 800-908-4490. Financial Insider Weekly is now broadcast on PenTV, the public access television station for San Mateo County. The show is broadcast on Mondays and Fridays at 1:30 p.m. on Comcast channel 26 and Astound channel 27. Please tell your friends in San Mateo County! Under an IRS Fresh Start Initiative, the IRS is relaxing its conditions somewhat for Offers in Compromise. Under an Offer in Compromise, the IRS agrees to accept an amount lower than the actual tax as a settlement of the balance. The IRS Fresh Start Initiative is an attempt to provide some relief to taxpayers who are suffering financial hardships due to the recession. You apply for an Offer in Compromise using Form 656 (available online at www.irs.gov). Under the Fresh Start Initiative, the threshold for using an installment agreement without having to supply the IRS with a financial statement has been increased to $50,000. A streamlined Offer in Compromise process is available for taxpayers with annual income up to $100,000 and tax liabilities of less than $50,000 â€“ twice the old limit of $25,000. When the IRS calculates a taxpayerâ€™s reasonable collection potential, it will now look at only one year of future income for offers paid in five or fewer months, down from four years; and two years of future income for offers paid in six to 24 months, down from five years. All offers must be fully paid within 24 months of the date the offer is accepted. The IRS is now permitted to consider the taxpayerâ€™s credit card payments and student loans when computing the taxpayerâ€™s living expenses. The IRS accepted 27% of Offers in Compromise submitted in 2010 and 34% of offers in 2011. This news offers hope to taxpayers who have been finding it difficult to pay off their obligations to the IRS. A taxpayer tried to claim a residential mortgage interest deduction for $1.1 million in mortgages and home equity indebtedness. The Tax Court upheld the IRS in limiting the eligible mortgage indebtedness to $550,000. Shannon Fernandez received her ex-husbandâ€™s disability pay as part of her divorce settlement. Her ex-husband was receiving the payments as service-related disability as a former law enforcement officer. If he received the pay, it would have been tax exempt under Internal Revenue Code Sectin 104(a)(1) as received relating to personal injuries or sickness. Shannon claimed she should qualify for the same exclusion. The Tax Court upheld the IRS in finding that Shannon didnâ€™t qualify for the exclusion because the pay didnâ€™t relate to her own disability. Charitable contributions disallowed because of wrong documentation. David and Veronda Durden claimed $25,171 of donations to their church on their 2007 federal income tax return. They received an acknowledgement letter from the church, but it didnâ€™t include the statement that no goods or services were received in exchange for the contributions. When the Durdens were audited and received a Notice of Deficiency disallowing the deduction, they obtained a second written acknowledgement that included the required language. The Tax Court upheld the IRS in disallowing the deduction, finding the document was received too late. Under the Internal Revenue Code and regulations, the taxpayer must have the required documentation for donations exceeding $250 by the extended due date of the income tax return. Moral of the story â€” to assure that your donations exceeding $250 will be allowed, be sure to get the acknowledgment letter before filing your income tax return. Insist that the charity include the required statement that no goods or services were received in exchange for the donation, or a statement of the value of goods or services received, on the letter. Public access television is a vital part of our educational outreach to various communities. These are usually nonprofit, charitable organizations, like public television stations. Unlike those stations, most of the programming for the public access stations comes from local producers. With the difficult times we are experiencing, many public access stations are facing severe financial challenges, and might not survive without more community financial support. I urge you to consider making a donation to your local public access television station. Here is a link for a list of public access television stations in California: http://www.communitymedia.se/cat/linksca.htm.